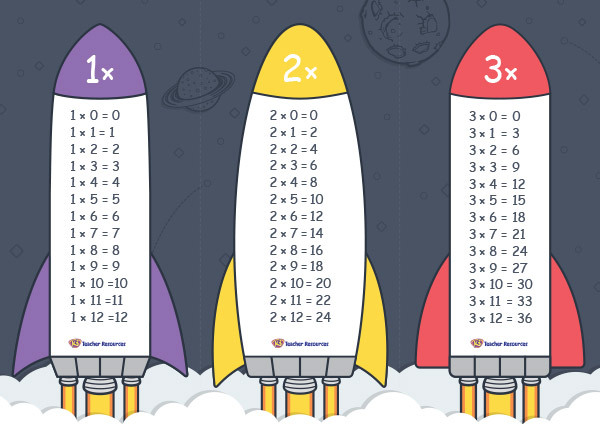 A set of multiplication fact cards in a rocket theme to use as a classroom display or to make multiplication fact keyrings. Ideal to use in the classroom when learning multiplication facts to x 12. Download the font option required. Print, cut and laminate the rockets. Create a classroom display or make multiplication fact keyrings by punching a hole at the bottom of the rocket and adding a keyring.